Join us for the Friday Fun Ride! Select the combo option for an additional $15 to add the 15-mile Friday Fun Ride to your weekend itinerary, or sign up for only the Friday Fun Ride for $35. All cyclists particpating in the Friday Fun Ride AND a Saturday's ride, will receive a branded Ocean to Bay Bike tour Lycra Waist Pack, courtesy of K. Hovnanian Homes at Ocean View Beach Club. NOTE: No refunds will be given for canceled registrations. The 2019 event is expected to sell out; on site registration may be available on Friday, April 26 if space allows, but is not guaranteed. $45 per cyclist if received before the close of online registration March 31. NOTE: No refunds will be given for canceled registrations. The 2019 event is expected to sell out. Team registration pricing will not be available after March 31. Registration must include six completed registrations by March 31. Team Check In: If a team opts into a "TEAM PICKUP" all members will be included. It is an all or none option. Team captains will be allowed to check-in all team members. All waivers must be complete with a "WET INK" signature. Please consult your captain on your team's check-in procedures. -Individual Registrants must "WET INK" sign the waiver at packet pickup. -All electronic signatures, pdfs, jpgs and faxes are deemed invalid. -Photo ID or copy of photo ID is required at packet pickup. -All Team Registrants must have all waivers signed for team pickup. 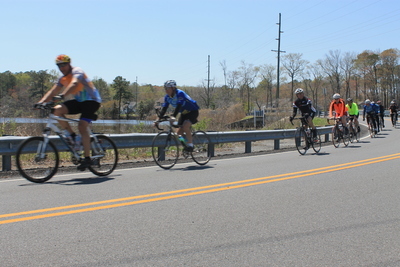 This 15-mile out and back route on Friday, April 26, from 12-4 pm will begin and end in Bethany Beach and take riders along coastal Route 1 to the Indian River Inlet Bridge. While you're there, enjoy a pit stop at the Big Chill Beach Club and picturesque views of the ocean meeting the inlet. Click here to see route. The Friday Fun Ride is offered as an individual registration or as a combo option for Saturday cyclists. 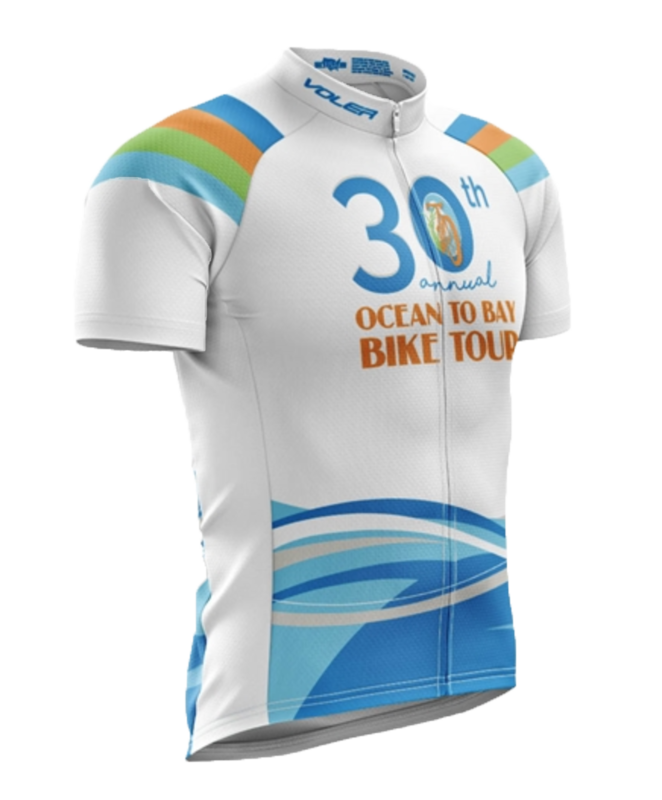 All cyclists who sign up for both the Friday Fun Ride, and a Saturday route, will receive a branded Ocean to Bay Bike tour Lycra Waist Pack, courtesy of K. Hovnanian Homes at Ocean View Beach Club. All routes start and end in Bethany Beach. 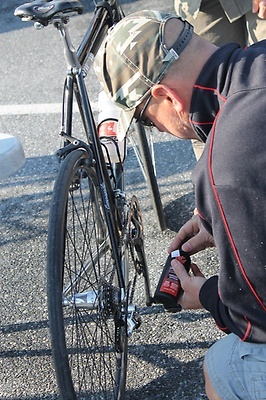 *Rest stop and SAG support cannot be guaranteed for cyclists that start after their designated start range. Completion of the ride is optional. SAG Wagon support will be available from 7:00 am to 4:00 pm. -There will be a final ride back to the Post Party Tent only at the close of the rest stop; please have a back up plan! Rest stops will have restrooms, light snacks, and beverages. Continue the Tour After Party will run from 12-5 pm with live music, food, and door prizes. The ride will take place rain or shine; however, if extreme weather is forecasted, the Bike Tour may be canceled. No refunds will be given. Participants age 16 and under must be accompanied by an adult and must wear a helmet. 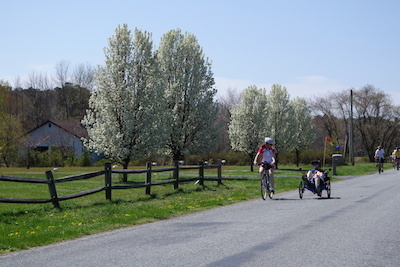 All participants are expected to obey all traffic laws and Delaware bicycle laws. Bicycle Law- Rules of the Road! Proposed 2019 maps, subject to changes through March. Visit the FAQ page, or call 302-539-2100 ext. 115 for questions. Now in its sixth year, the Chamber and local businesses are pleased to present "Continue the Tour." Enjoy the best of what the Quiet Resorts has to offer in food, entertainment and fun! Order a comemorative jersey for the 30th Anniversary ride! Be sure to order in advance if you want to wear on April 27th! Order here. Guests can enjoy a 10% off their stay. Reserve your stay by April 25 on their website using the link above or by calling 410-289-8581. Use promo code 327. Guests can enjoy a discounted rate of $99 per night on 4/26 & 4/27. Click the link above for reservations and use promo code BAY BIKE RATE in order to receive the discount. Guests can enjoy a special Stay for 4 Nights, Pay for 3 offer. Offer valid on any of the participating rentals with travel dates from April 24-30, 2019 reserved by March 1. To qualify for this great deal, book online using the link above and the Promo Code OCEAN2BAY. Guests can enjoy a discounted rate of $99 on 4/26 & 4/27. Reservations must be made by 4/16 by using the link or calling 410-250-1100. Use promo code 04BT. You will be allowed to store your bikes in your room. The hotel has a non-smoking policy, is pet friendly, and includes an indoor pool/hot tub, onsite fitness center and an onsite bar/restaurant. No refunds will be given for canceled registrations. 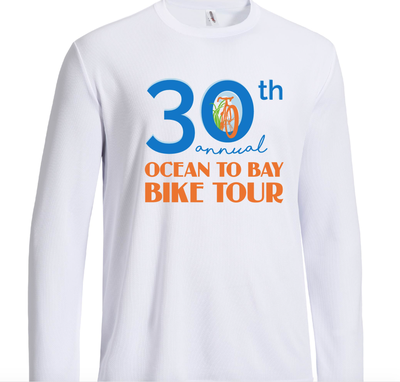 It takes over 150 volunteers in the month of April to make the Ocean to Bay Bike Tour happen. Student volunteers and work incentive volunteers will be provided the necessary paperwork for credit. Please return completed volunteer info sheet with preferred volunteer slot, along with signed volunteer waiver, via email to amy@bethany-fenwick.org or via fax at 302-539-9434. We've launched an online volunteer sign-up that updates available shifts in real time. Click here to review available volunteer shifts! Mr. Natural Bottled Water, Inc. NOTE: The 2019 event is expected to sell out; on site registration may be available on Friday, April 26 if space allows. There will not be day of registration on Saturday, April 27.